Toptal is proud to announce UX South Africa Conference, the biggest UX conference on the African continent. The conference will be held in Johannesburg between the 10th and 12th of May and you will be able to enjoy one workshop day and two conference days with more that 20 professional speakers. 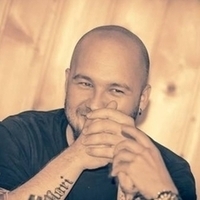 One of the speakers will be Tomislav Kozačinski, Toptal Community leader in Croatia and a product UX UI designer with over 10 years of international experience ranging from graphic design and web development to startups and digital product development. You can find out more about the speakers, schedule and tickets here. If you have any questions feel free to reach out to Tomislav.